What makes for great site search? Here are 22 features to consider to optimize your site search tool for usability, guided selling and customer satisfaction. Search boxes should be long enough to accommodate longer search terms, it’s easier on your customers when they can see the bulk of their search phrase input before hitting “Search.” 30 characters is a minimum, but you can certainly go bigger. 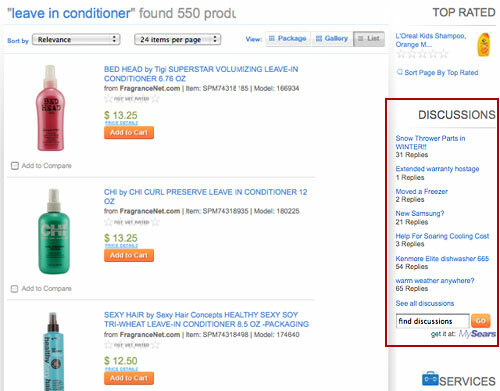 One exception – if your store is bolted on to a parent site (as is common in the software industry), it’s a good idea to offer scoped search to allow visitors to search within sections like Discussion Forums, Corporate Info, Product Info and Store. 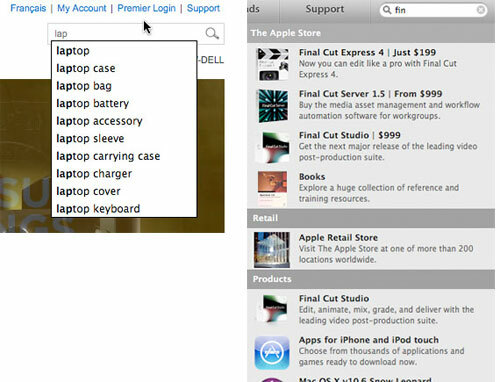 Another workaround for scoped search is autosuggest, which reduces typos and helps avoid “zero results found” as suggestions are always for products and categories you carry. Notice how Apple.com not only scopes results by site section, it also uses “rich autocomplete” by including thumbnail images. Rather than show “0 results found,” showing something can reduce abandonment. Tweaking your tool to handle misspellings saves the visitor from entering their search again and shows the “intelligence” of your site, and may instill more confidence in your search tool. However, autocorrect can fail – for example, “camo” and “cami” are very different but they may be typos of each other. It’s a good idea to state that you don’t have any results, with suggestions of a similar spelled term, than to let the customer think your search has made a mistake. If you have many items that are close in spelling, you might opt for “Did you mean?” rather than autocorrect. Search within results is an “okay to have” but not a must. 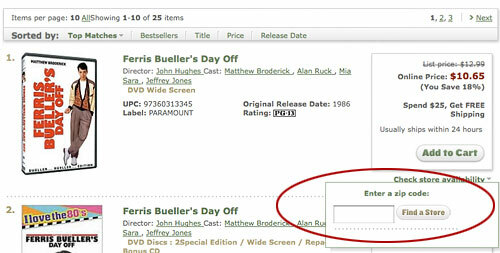 It’s easy enough for the searcher to go back and enter the refinement into the regular search box. If you are considering building this feature, I suggest using development resources elsewhere. Keep in mind that searchers may mistake the “search within” box for the real search box. If they enter an unrelated query, they’re likely to get zero results and may leave your site. 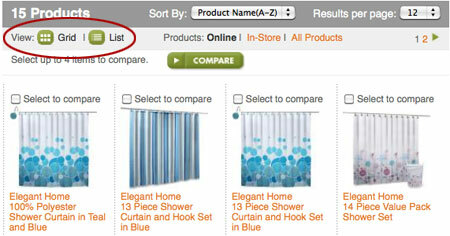 I’m a huge fan of “sort by” to re-order results based on what the customer values. Some folks are interested in top sellers, some in newest arrivals, some want to see top rated items first and others are price sensitive. It’s a good idea to include the number of results in each sub-facet in (brackets). 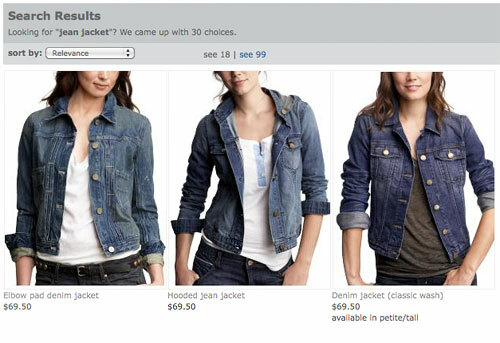 My favorite implementation of filters is on ASOS.com, where you can narrow by several attributes at the same time with checkboxes. Results are updated without refresh using AJAX. 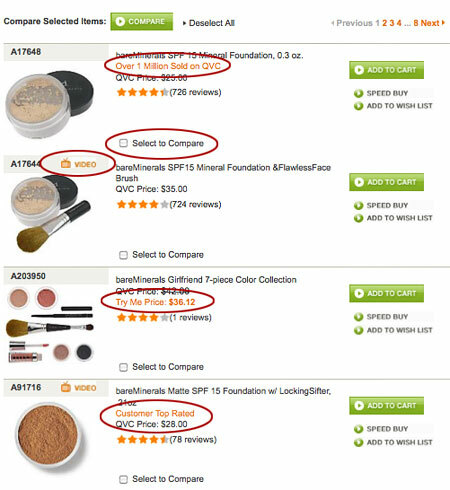 Some online shops apply filters to categories but not to search results – don’t be one of them! Most sites don’t need advanced search if they’ve got good filtered navigation. 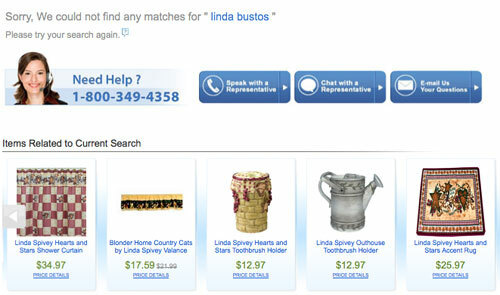 If your site truly needs advanced search, here are 11 tips for advanced search usability. 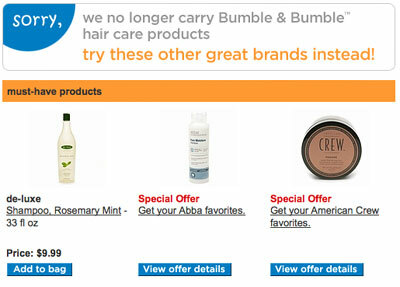 Drugstore.com does not carry the Bumble and Bumble line, but is tweaked to suggest products similar to that brand. 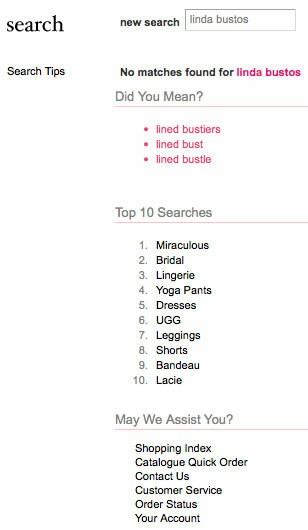 Victoria’s Secret acknowledges there were no search results found for “Linda Bustos,” but suggests a few possible corrections, and failing that, shows me the top 10 searches – I just may be interested in. Rather than clicking through each and every page of results, it’s helpful to have a “view all” link. Every site should have this feature! 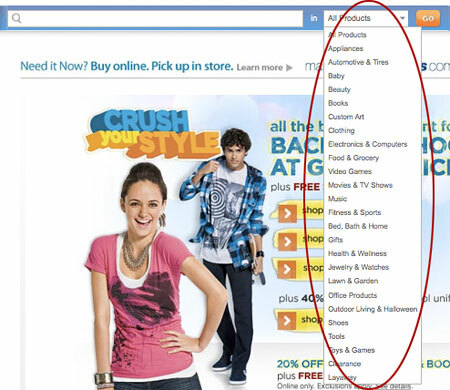 Merchandising on search pages may include keyword-triggered banners, but can also include features like best-selling items above regular search results. 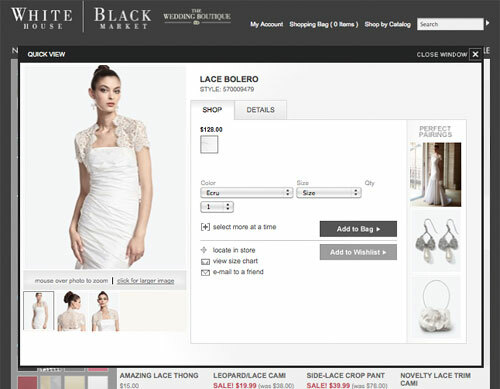 The term also refers to the way you want your search results presented. Some search tools allow you to apply weighted scores to product conditions, for example, rank results based on relevance [40%], margin [20%], stock level [20%], sales velocity [10%], customer rating [10%]. Veering away from pure relevance-ranking is controversial, but it can produce “better” results, especially if your site search receives a lot of general “head” terms that return a very large number of matching items. 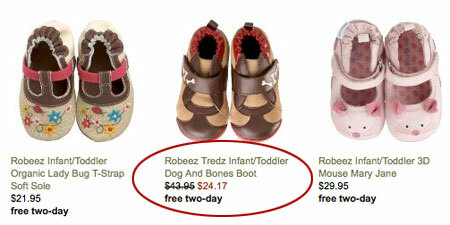 How you present your product listing can have a huge impact on click through. 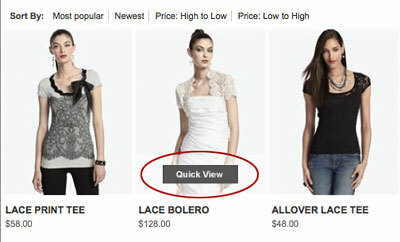 The more information you can expose pre-click, the better the customer can judge which products they want to view. 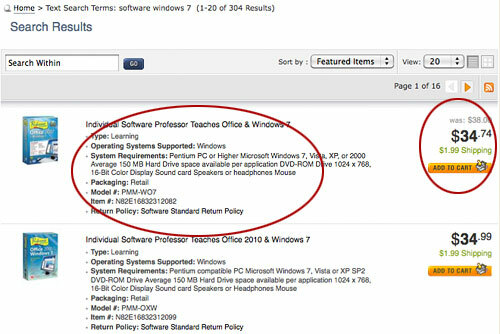 Newegg has a better presentation for software products – including scannable bullet points that include O/S compatibility, system requirements and return policy, along with a direct add to cart button and price/shipping information. Radio Shack includes a brief product description, star ratings, stock availability and an “add to wishlist” button. Choose your presentation features according to the products you sell, and use the above as inspiration. 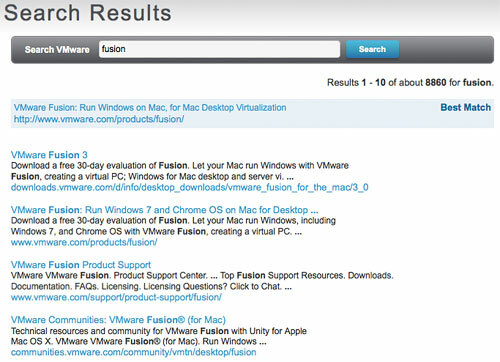 Quick look tools allow you to view details without leaving the search page. It’s essentially a fully functional, pop-up product page. An alternative to paginated results and view all links, Backcountry.com autoappends results with more results when you reach the end of the page. No clicks required. The only downside is it can take a long time to scroll back to the top. 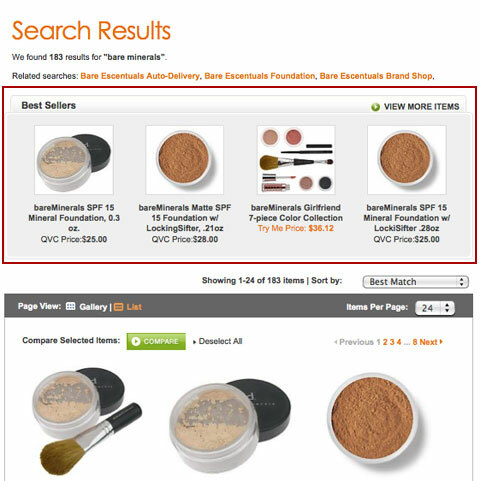 For some sites, saved search is a nice to have, like Endless.com (below), for others, it’s crucial – think B2B and complex sales that require product configuration. 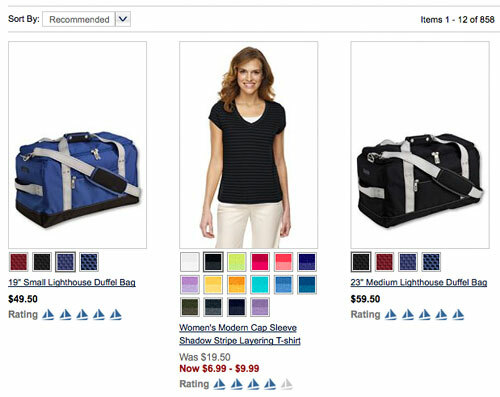 Apple.com and Sears integrate support and community content alongside product results. 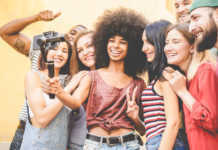 While this may clutter the page and reduce click through, it also exposes the depth of content the site offers that can support the purchase decision. Some sites like Newegg and Ebay allow you to subscribe to a custom search result by RSS feed. 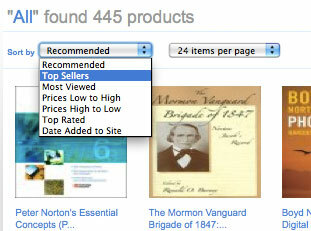 This is especially helpful in a marketplace like Ebay where new long-tail products appear and disappear frequently. 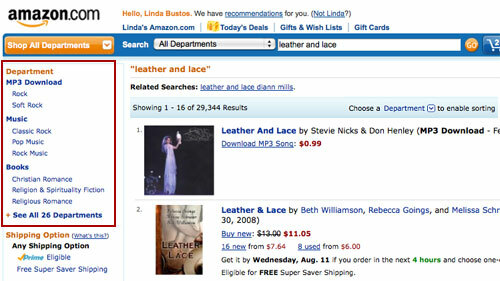 Multi-channel retailer Barnes and Noble allows customers to find products in-store directly from search results. Innovative! This collection of search features is not a checklist for perfect search, rather an inspiration board. Some of these features are must-haves – conventional search box placement, filtered navigation, sort-by tools and view all links. Not every idea in this post will be appropriate to your business or customer, but I hope it gives you some ideas of how you can improve the usability and presentation of your search results. You may also be interested in 15 Things to Ask Your Site Search Vendor. Next articleDoes Your Log In Make Them Drop Off?